1. Enter your search terms. Input terms into the Esearch box and submit. HINT: If you are looking for a particular article, search for its title and surround it with quotes (e.g., "A Rhetorical analysis of the Gettysburg Address"). 2. Limit your results to articles. Use the "Content type" header on the left side of the screen to limit your results to only articles. Note that there are more than one type of article (journal articles vs. magazine articles vs. newspaper articles). 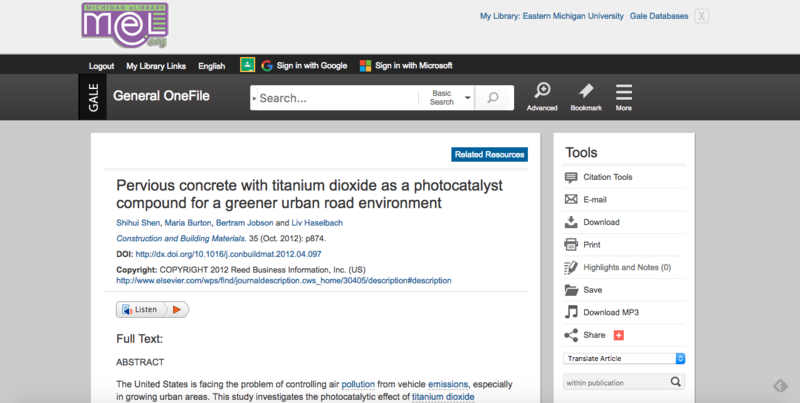 Do you need scholarly articles? 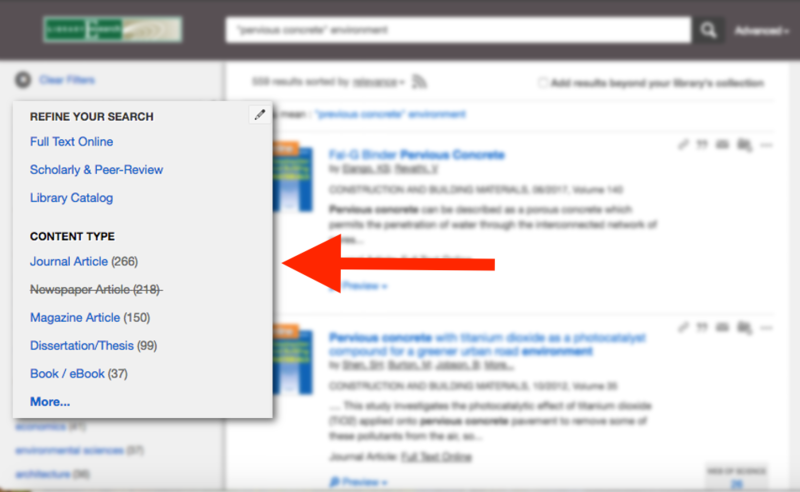 Select for the "Scholarly & Peer Review" option under the "Refine your Search" heading. 3. Find your desired article. Look through the results to find a relevant article and note if it is available online. 4. Select the title to get the full-text. Click the article's title. This will take you either directly to the article's full-text or to options for retrieving its full-text.